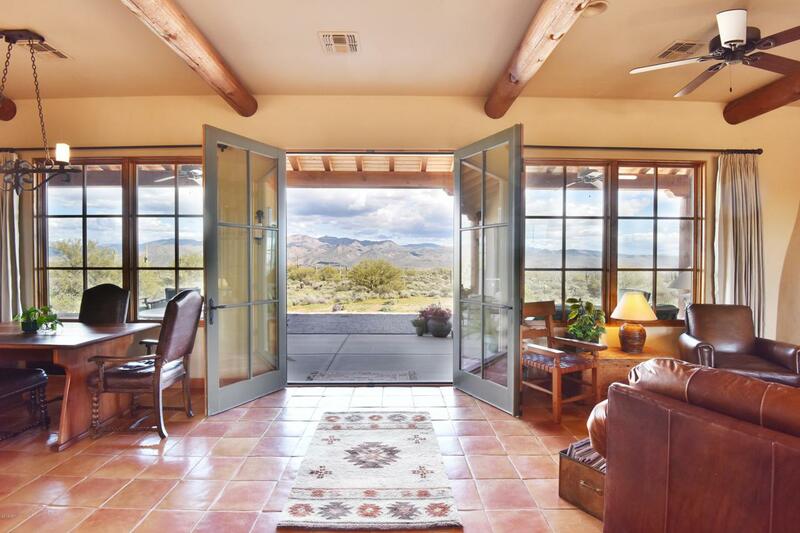 Serene setting with endless mountain views! 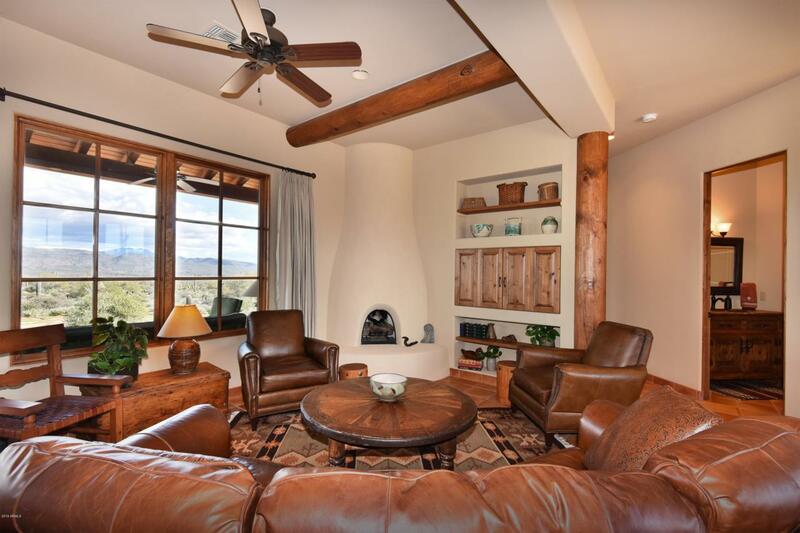 This private desert oasis offers endless mountain views of the Four Peaks from the moment you walk in the front door. 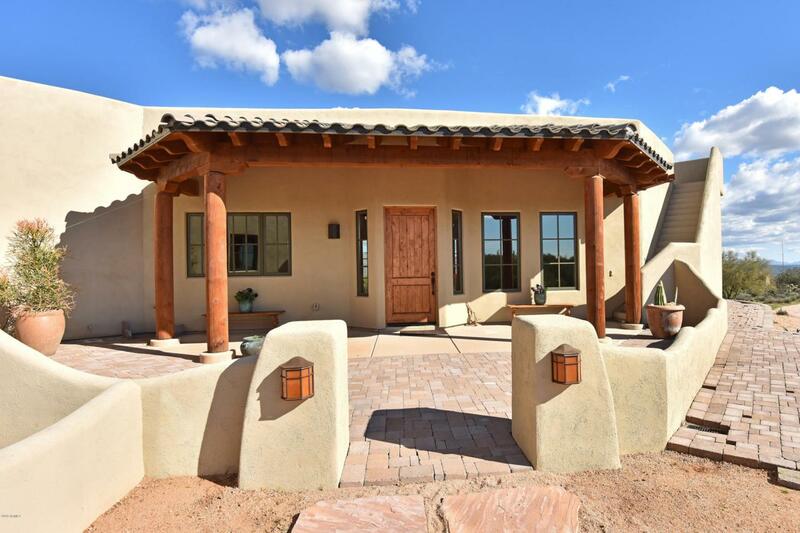 This home sits on 6 acres and is short distance to the Tonto National Forrest with plenty of space to build your own horse setup. The guest house is approx. 447sq.ft. and considered the 3rd bedroom and the main house is 1753 sq.ft. with 2 bedrooms. Open great room/kitchen concept. Master is split from rest of the rooms in the home. Walk-in closet in second bedroom. Guest house is ideal and spacious with a full kitchen and separate entrance for use of rental or privacy for the guests. Over-sized garage has plenty of storage. 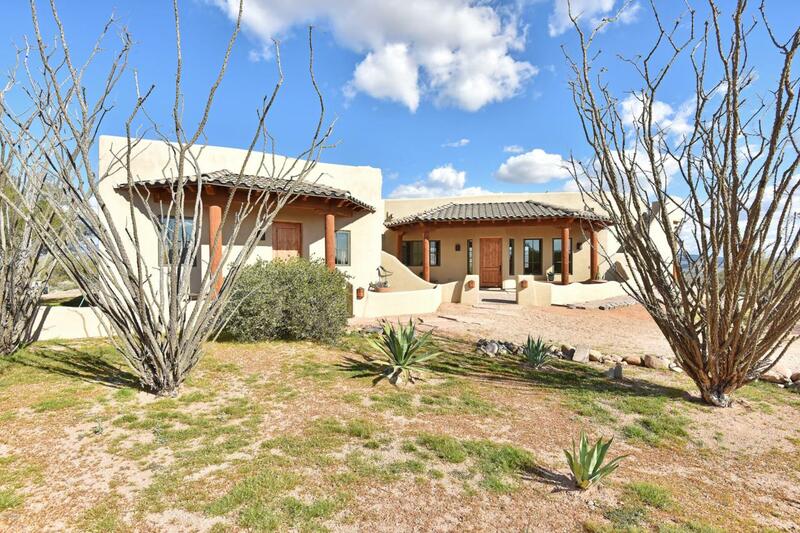 MUST SEE THIS HOME FOR THE VIEWS!